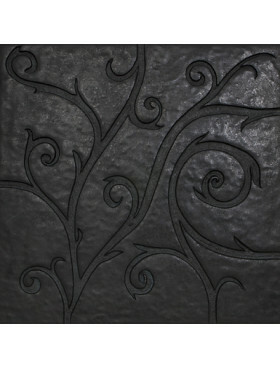 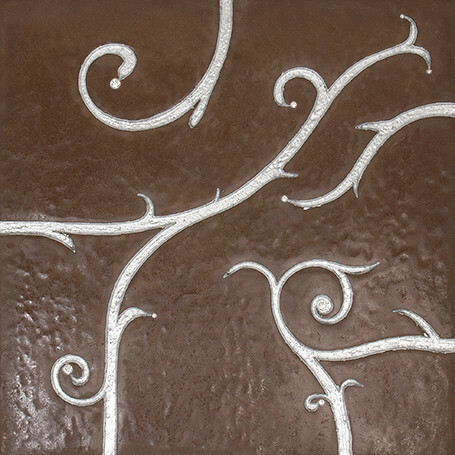 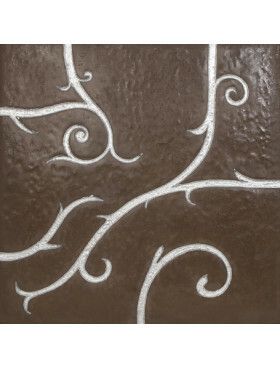 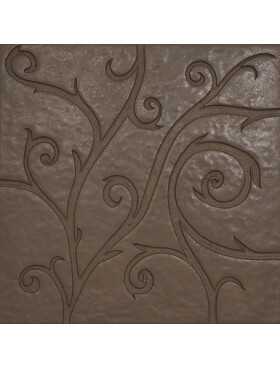 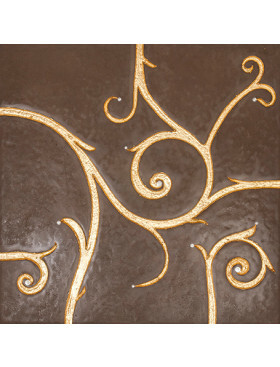 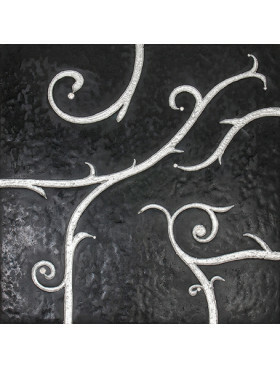 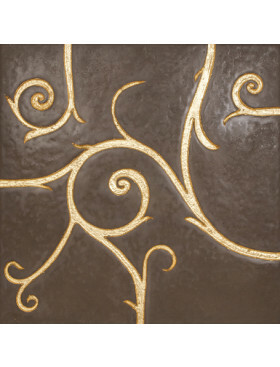 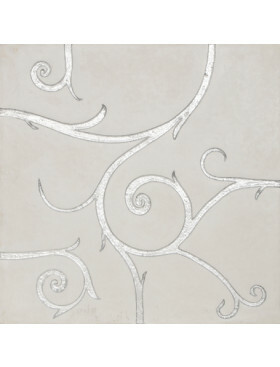 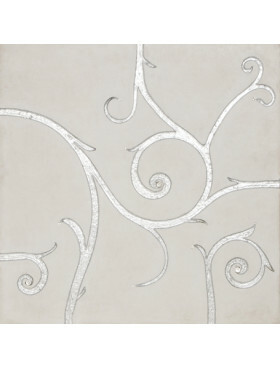 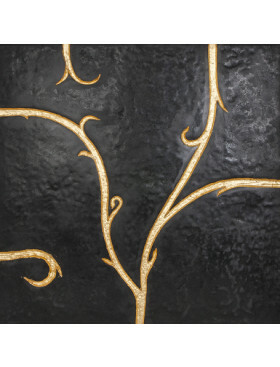 Flamboyant Marble, light brown, silver leaf and Swarovski crystals 23.6" x 23.6"
Brown Silver Leaf Flamboyant Tile with Swarovski Crystals is beyond description. 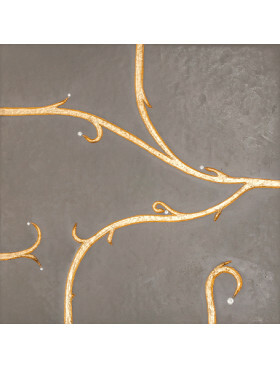 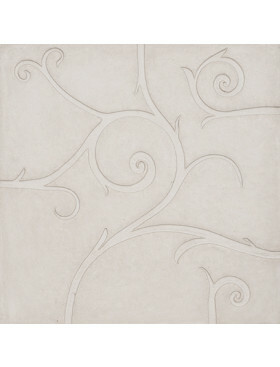 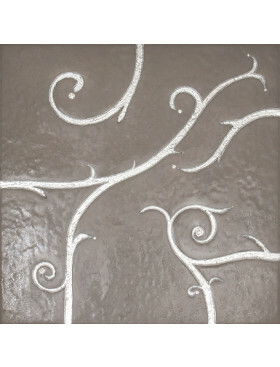 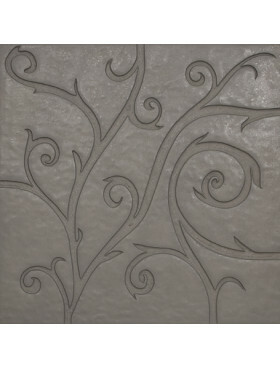 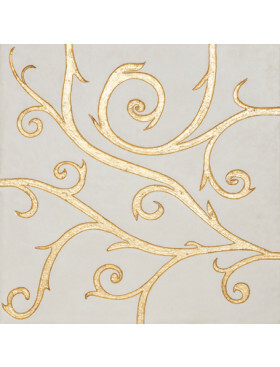 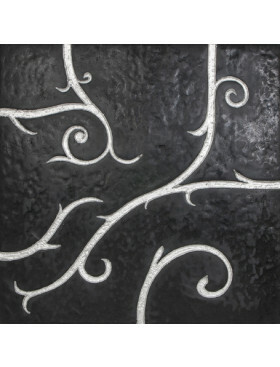 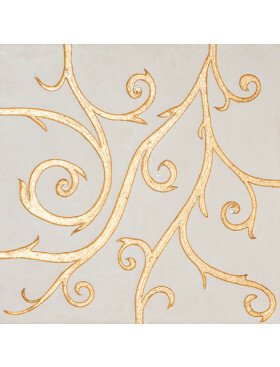 While it sounds like adding crystals to an already perfect tile might be too ornate, it most certainly isn’t. 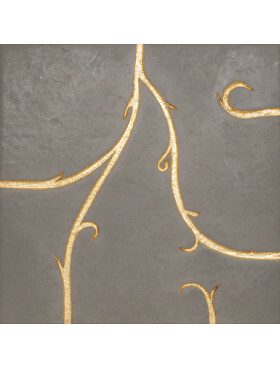 It’s a subtle but delightful touch.